Moves of all distances and complexities are made simpler and safer when you choose our qualified crew! Are you looking for a Danville moving company that will treat you right—without costing you a fortune? If so, you owe it to yourself to learn more about Upline Moving. We have provided professional moving services since 2008 complete with custom moving plans and flat-fee pricing. Our movers are skillful and dedicated to a job well done, resulting in our BBB-accreditation and certified ProMover status with the American Moving and Storage Association. Get started today with a custom moving plan, whether you’re moving a few miles across town or right across the country! When you choose Upline Moving, you’re working with a team of experienced residential movers that offer the latest equipment for completing any size move with ease. Most importantly, you’re choosing a family-owned business that is founded on honesty and stringent standards of customer service. Local Movers: As members of your community, we work hard to provide the personalized local moving service you deserve. Cross Country Movers: When you’re ready to plan the most hassle-free cross-country move possible, go with Upline Moving! Interstate Movers: Expert packing, loading, and delivery crews guarantee a safe and timely interstate moving experience. 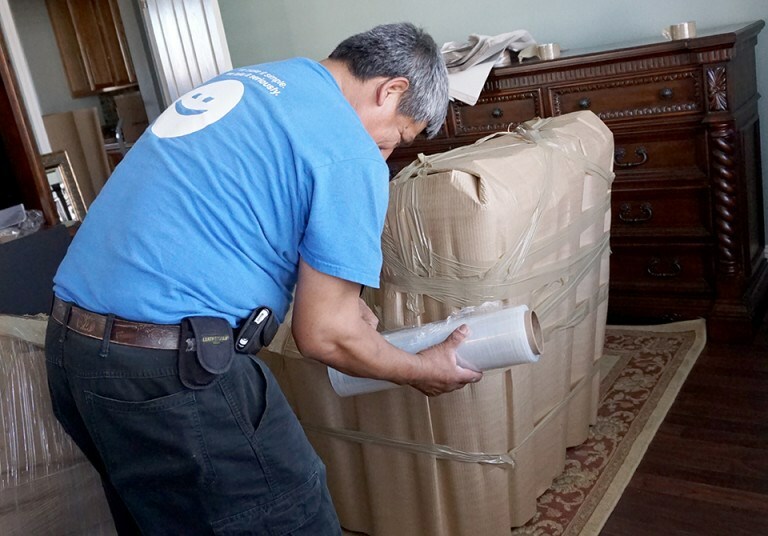 Senior Movers: We offer professional moving services geared towards the unique needs of senior moves of all scopes. Last Minute Movers: Whether you’re moving suddenly for business or personal reasons, we can make last-minute moving much safer and simpler. Moving and storage often go together, which is why we are proud to offer our customers secure warehouse facilities conveniently located throughout the United States. Whether you need storage as a stand-alone service or as part of your full-service moving plan, we have the flexible and safe solutions you need. Our facilities are climate-controlled and securely monitored, and we even offer the first 30 days of storage for free! Request an Accurate Danville Moving Estimate Today! Are you ready to start planning your upcoming relocation? If so, get started by learning more about Upline Moving, and why we’re the Bay Area movers you should trust! Give us a call to discuss your moving needs or use our online form to schedule an up-front relocation quote.